Chocolate Mint OG manages to combine the delicious flavours of chocolate and mint in one marijuana package! It was created by crossing an Emerald OG with a Grandaddy Purple. 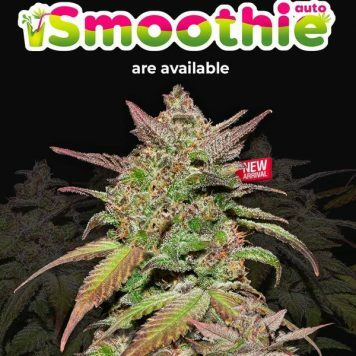 This is an indica-dominant strain with 80% indica genetics. 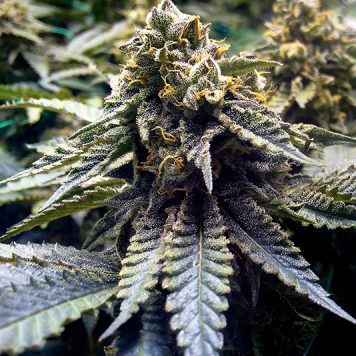 Chocolate Mint OG develops lovely shades of blue and purple during flowering with lower night temperatures. The early vegetative growth is incredibly vigorous and so if space is at a premium indoors it is advisable not to veg. for too long. Once into flowering some training will definitely be necessary to support the weight of the buds on its long branches. The inter-nodal bud-site spacing is quite long and so this allows for good light penetration into the inner buds. 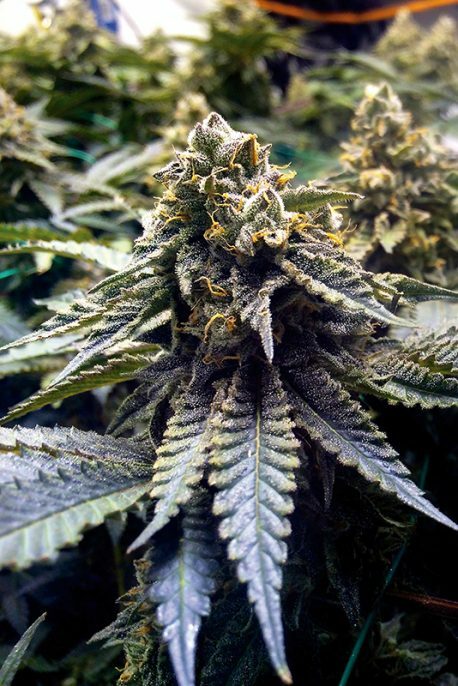 Grown indoors harvests yield between 350 – 500 gr/m2 in a flowering time of 58 – 63 days. Outdoors these plants can grow to 3 or 4 meters in height and yield between 1 and 2 kilos each dried weight. The flavour and aroma is very deep and rich; chocolate, mint, pine, spices with some acidity present too. THC production is very high and falls within the range 22% – 26% with low 0.1% CBD. The effect is very, very powerful and is not recommended for novices. It is both physical and cerebral and long-lasting. It is definitely a night-time smoke unless free from all cares and duties for the day!